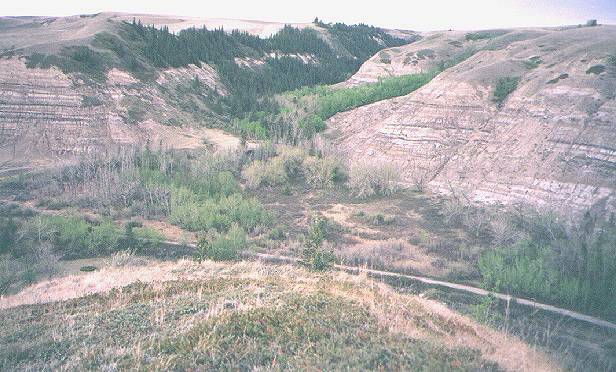 Directly south, under the number 1 is the last part of the east leg of Horseshoe Canyon. 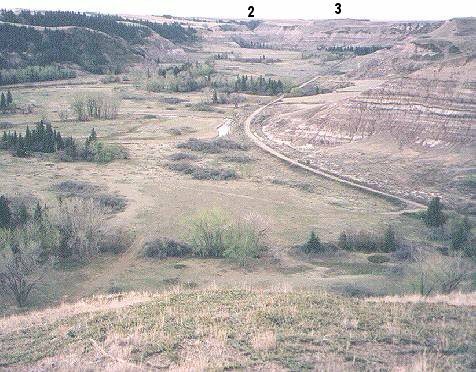 In the west, the exit for the west leg of Horseshoe Canyon is under 2; and the west viewpoint is under 3. This is early May and the leaves in the trees are only starting to come out. 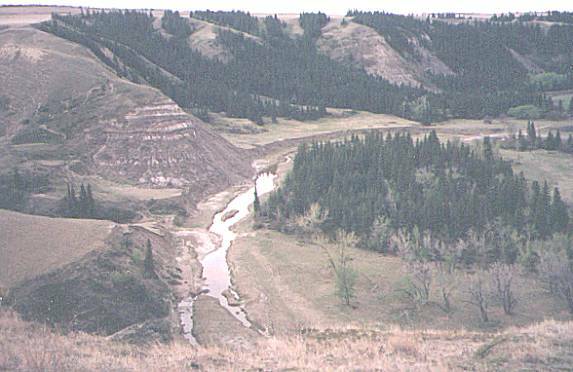 Use your scroll bar at the bottom to view the right side of this photograph. 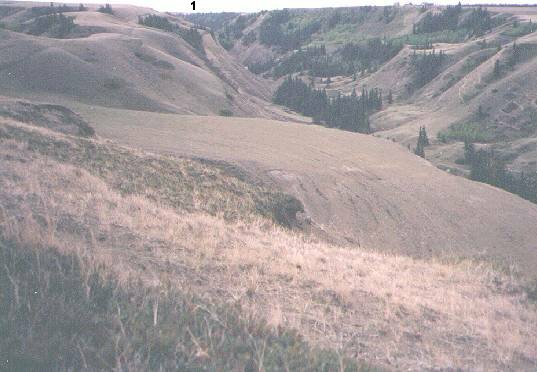 back to Drumheller thumbnail photographs.